Smile for me Jamaica! An island situated in the Caribbean Sea, with a lush topography of mountains, rain forests and reef-lined beaches. One of the most famous beaches in the world, is the 7 mile beach. Jamaica is also well known for the Dunn’s River waterfall. The fastest man in the world, comes from Jamaica. However, Jamaica is most famed for the iconic, Bob Marley, whose music reach every corner in the world. Loaded with lively, iconic beaches, awash with waterfalls, and populated by Rastafarians and reggae-loving locals, Jamaica is one of the hottest Caribbean destinations for both travelers and cruise ships. 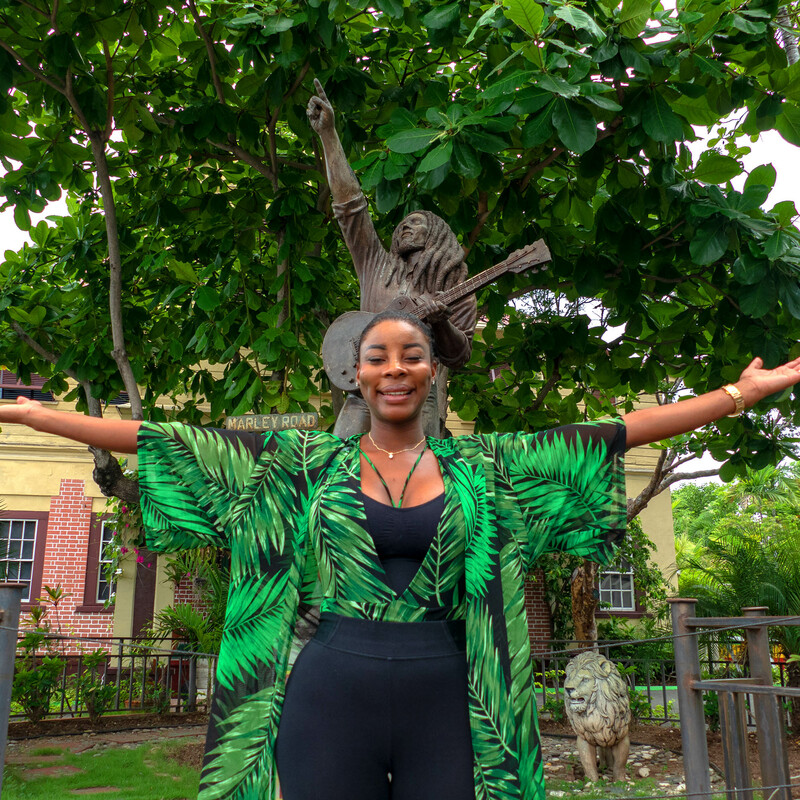 The birthplace of Bob Marley, Usain Bolt and Rihanna, many are drawn to the home of these international talents to see what all the fuss is about. Montego Bay is the main city, close to miles of resort lined beaches in Negril. East is Ocho Rios; both of which are very popular vacation destinations. Enjoying the beaches and water sports are the main pastimes, with Doctors Cave in ‘MoBay’ being the most famous. The striking interior of lush mountains and historic plantations is another draw, as is shopping for handicrafts, Jamaican rum and duty-free souvenirs. Most people visit in the winter when the weather is agreeable and there are no hurricanes. At this time, booking hotels at least three months in advance is a must. There are no visas to worry about for the majority of Westerners and the island is served from most major airports across North America.